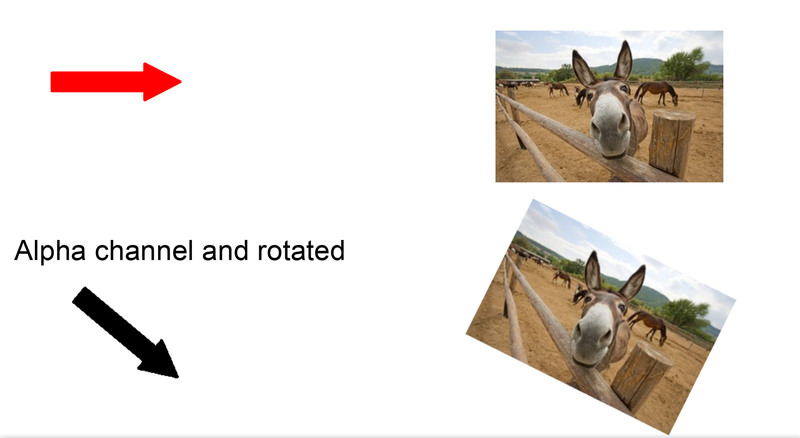 Rotate an image with a alpha'd out background. When presenting, the opaque area will be filled with black. I cannot reproduce it. Please add a document, which has this error. You have written "drag". From where do you have dragged the image? Do you get the same error, if you use the Insert menu instead? The reason is not an alpha channel. But the image has a color depth of 1 bit per pixel. I would say something is wrong with the rotate display function...The color change with the angle. See screen capture.